FROM EAST- TAKE EXIT 6 (TUNNEL RD, CHUNNS COVE RD) OFF INTERSTATE I-240. TURN RIGHT ON CHUNNS COVE RD. AND AN IMMEDIATE RIGHT ONTO THE PINEY MTN RD. THE OFFICE IS IN CENTRE PARK ON THE LEFT. FROM WEST-TAKE EXIT 6 ( TUNNEL RD) OFF INTERSTATE I-240. TURN RIGHT ON TUNNEL RD. TURN RIGHT AGAIN ONTO CHUNNS COVE RD. GO UNDER THE INTERSTATEBRIDGE AND TURN RIGHT ONTO PINEY MTN. RD. THE OFFICE IS IN CENTRE PARK ON THE LEFT. The Asheville Social Security office is located in Asheville 28805. The following page includes information for this location like the office phone number, hours of operation and driving directions. If you have any interests or comments about your retirement benefits or are interested in making an appointment, call the following Asheville Social Security office. The Asheville Social Security office is located in Asheville 28805. The following page provides information for this location like the office phone number, hours of operation and driving directions. 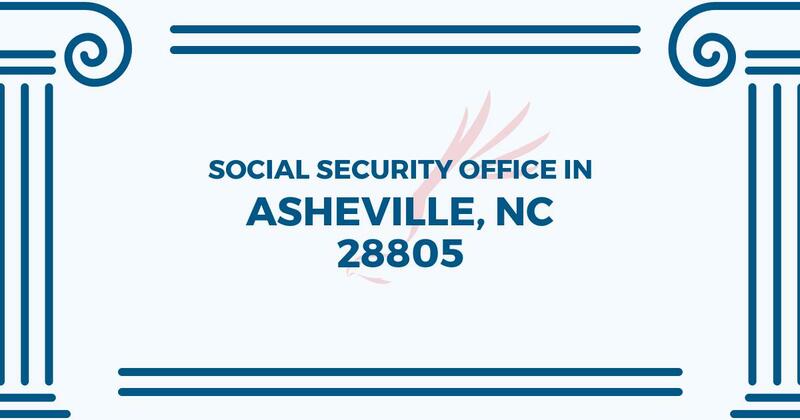 If you have any interests or issues about your Medicare benefits or are interested in arranging an appointment, call the following Asheville Social Security office. Great! I was in and out in 15 minutes! Pamela was courteous, efficient, and kind! I don’t know what SS office these negative reviews came from but it wasn’t the Asheville office.